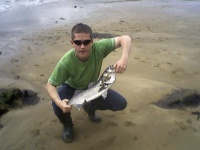 Picked this post up on the SAI site any one know who caught this fish its is many years since Tope were on Tramore beach. 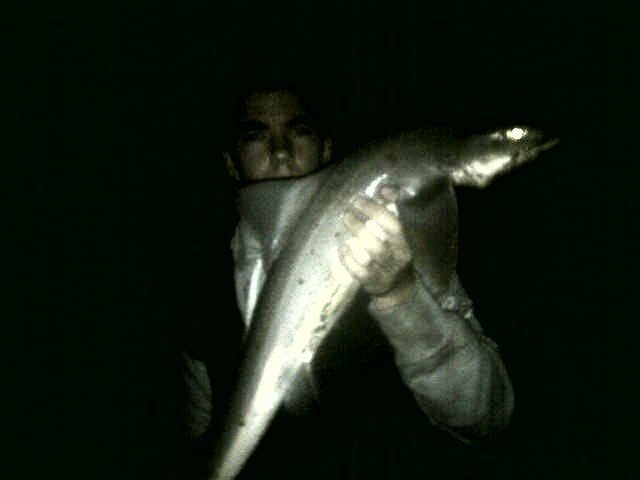 We caught a small tope from the beach in Tramore last night. Caught him with lugworm. Im new to sea fishing and the fright we got. A shark of all things, any he went back safe. 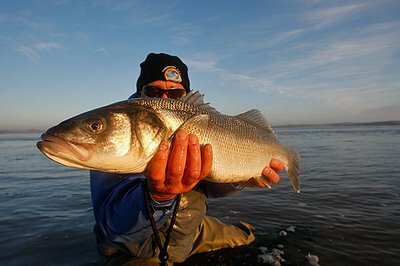 I was wondering how common is it to catch one from the shore like this. New to fishing and Lugworm, Doggie possibly? Great news if it was but highly un-likely! 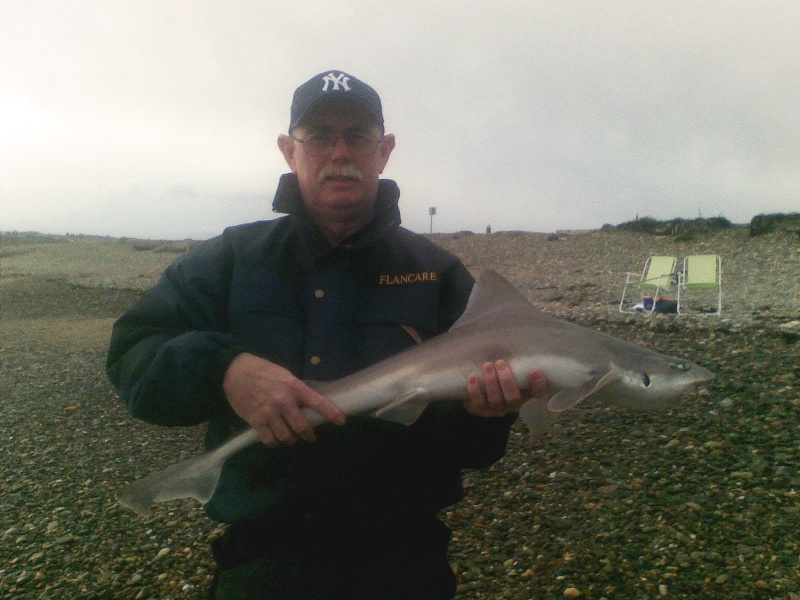 I helped a young lad land a common smoothhound on Tuesday or Wednesday night which he caught on LUG the fish was around 7/8 lb . Could this be what you caught ? Hi Would like to think it was a tope, BUT, with no pictures hard to call, would also go with a Smoothound, though a good one at that!! 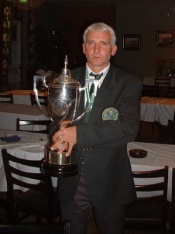 The image should at the link above. So is it a tope or smooth hound??? (I only heard about a smooth hound when I put up that post). 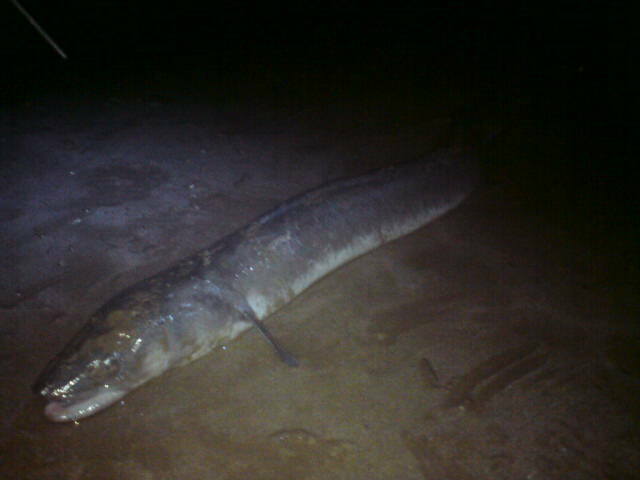 tried for a ray off the beach the other night didn't manage one but managed a fine conger and what im sure is a tope on mackerel. Sorry about the quality of the pics took them on the phone. 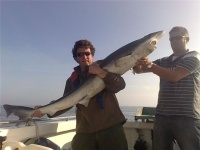 its a hound niall and a big one well double figures well done nice conger too.there lads been fishing years to try catch fish like that and the two in one night well done.jammy .you going wed night? It was a bit of a slam dunk alright gerry .. Ah i wouldn't say jammy now barry . Yeah they were to fine fish alright and got some scrap of the both of em, hooks were bent straight after each fish!! Yeah barry i would imagine so. What part of the beach? Poor last night on the slip , Mick, Barry , Gerry, Brain, and myself from 8ish to 12 ish. Flat calm. 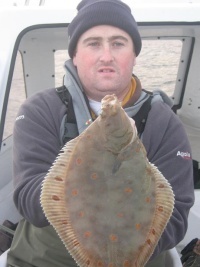 HW about 8.30ish, 1 Flounder, 1 Dog, and 1 rockling. Give it a go on the low next week. yeah very bad last night 4 hours for 2 fish and then missed only good bite of the night,the high tide an hour latter would of suited better. are u saying that when or if the the "tope hound fish" gets teeth it becomes a tope? no hounds dont have teeth and tope do but you can also tell by looking at them if your used to catching the two of them.